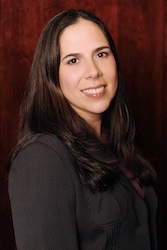 Sarah brings strong research and writing skills to the firm. Her empathy, drive and dedication help our clients pursue their claims. That explains why one client recently wrote "I want you to know how much we appreciate all the time and energy spent on our behalf-way above and beyond the call of duty. Your attention, good humor, and obvious ability made the usually unpleasant process of litigation more than bearable. And, of course, your work created a great result." (2011).